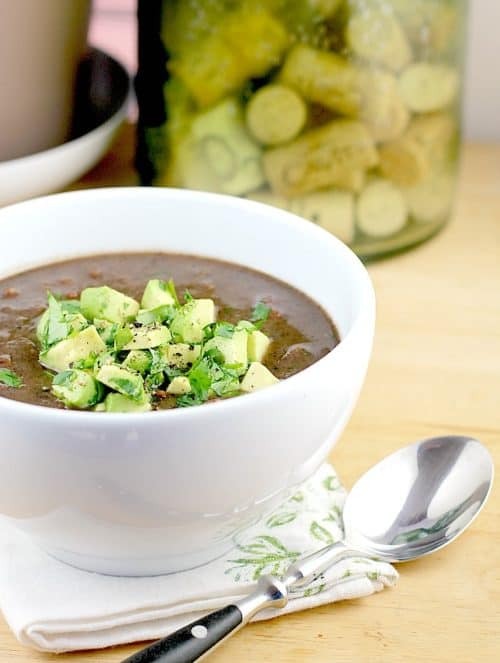 This gorgeous, dairy-free, Secret Ingredient Black Bean Soup has all the healthful goodness of a vegetarian soup, with a special depth of flavor thanks to the secret ingredient, coffee. As a starter for a special occasion or a simple weeknight meal, this delicious soup and fresh flavor will warm the soul. This post is sponsored by Gourmesso. I love to take random ingredients and put them in unexpected places. So in this recipe, I am adding coffee to soup. Whuh??? Yep. I have coffee rubbed pork chops and coffee crusted ribeyes, but this is the first time I have added prepared coffee as an ingredient in a SAVORY recipe. …Sweet, I have done. Savory, not yet. Until today. How did I even think of such a thing? 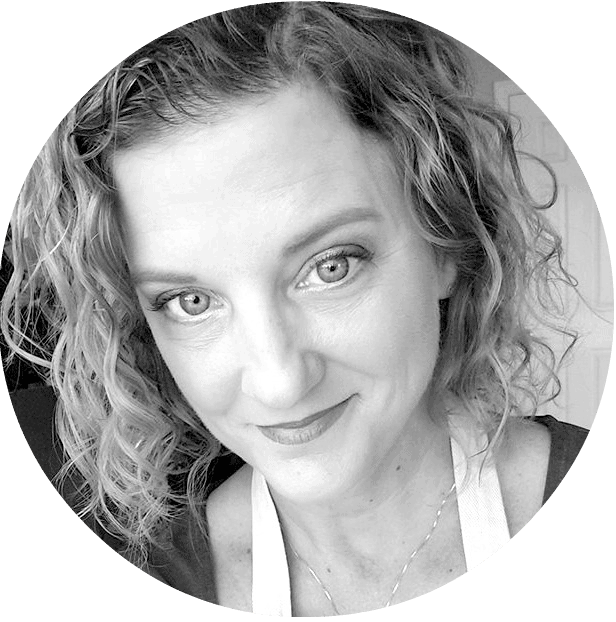 Well because I make recipes all the time and, of course, some are splurgy, but for the most part I really do try to cook healthful dishes for myself, my family, and YOU. And sometimes the trick is to add something a little out of the ordinary to bring FLAVOR. So I looked online for ideas and combed through sites like EatingWell. But a lot of these recipes included a ham hock of all things. 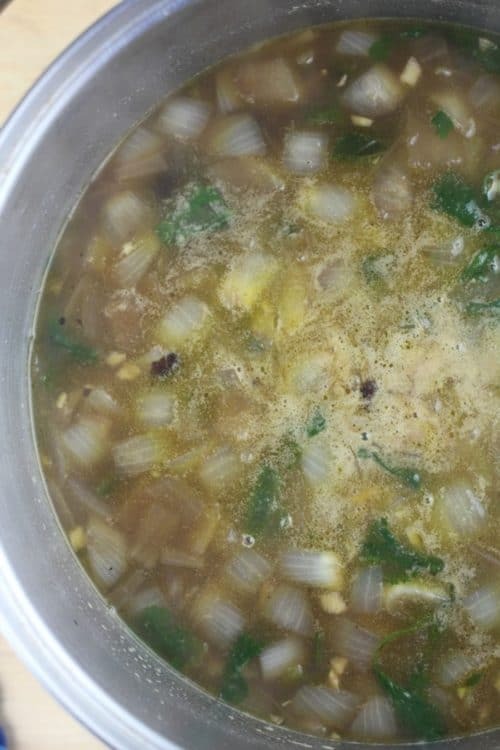 If you know me, the last thing I am going to do is put a ham hock into my new and delicious, plant-based soup. But I could not just blend up beans and stock and call it good, because it wouldn’t be. Soooo, in my recipe, this is what the coffee is there for – it provides a depth of flavor I would not have had otherwise. 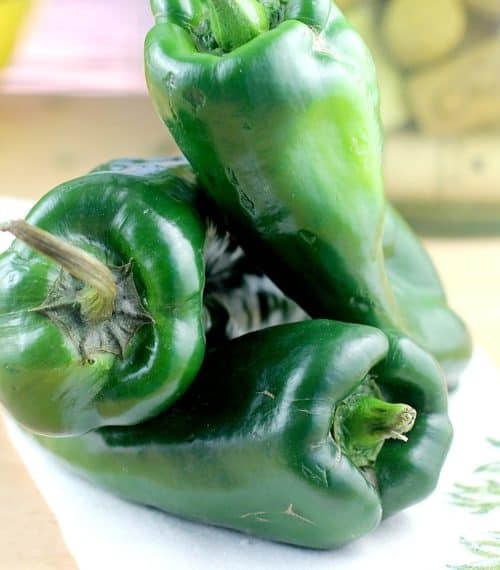 Our secret ingredient! So, that’s it folks. 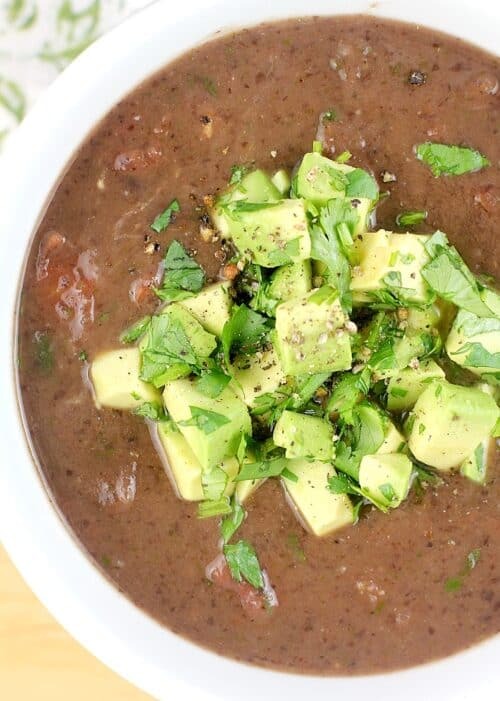 This Secret Ingredient Black Bean Soup was so satisfying. I just stood there, with a spoon, going at it, burning my mouth in the process, but I did not care (and I was hangry). So so so good. With all the nutritional and soul-warming goodness packed right in. …and even better the next day for lunch. 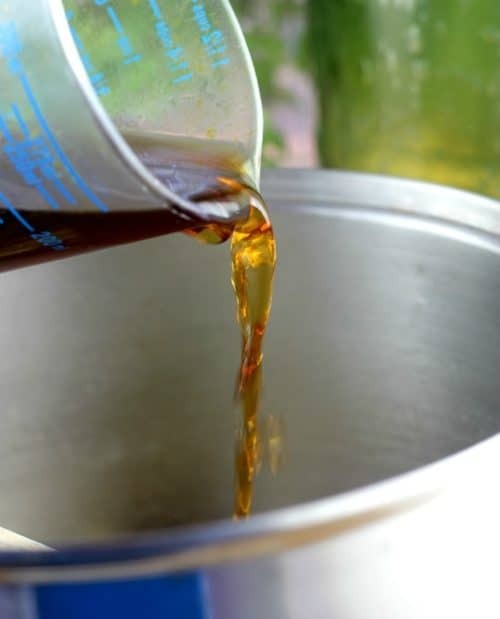 1-1/2 cups strong brewed coffee the secret! Heat a large, heavy bottomed saucepan over high heat. 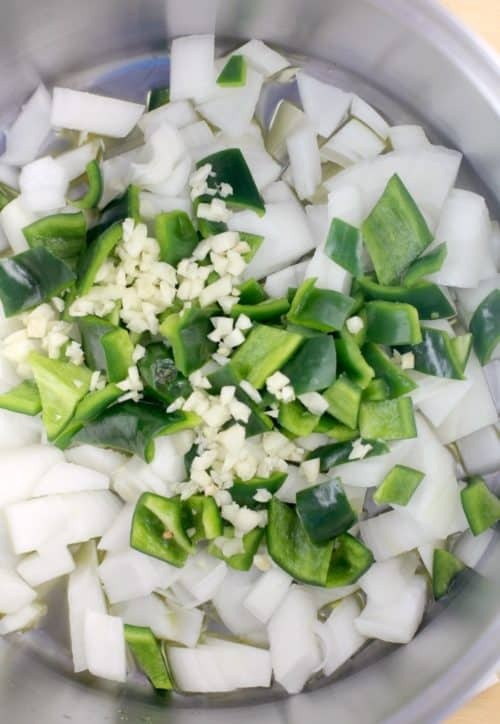 Add the oil, onion, peppers, and garlic, and sauté until veggies are slightly softened and fragrant. Add the vegetable stock, coffee, salt, pepper, and black beans reserving 1 cup of black beans to add later. Let the soup simmer until flavors are blended and veggies are softened (~20 minutes). Hit the soup with an immersion blender to blend it all out until smooth (alternatively, working in batches, a blender or food processor can be used). Add the reserved 1 cup black beans, the remaining 1/4 cup cilantro, and the tomatoes. 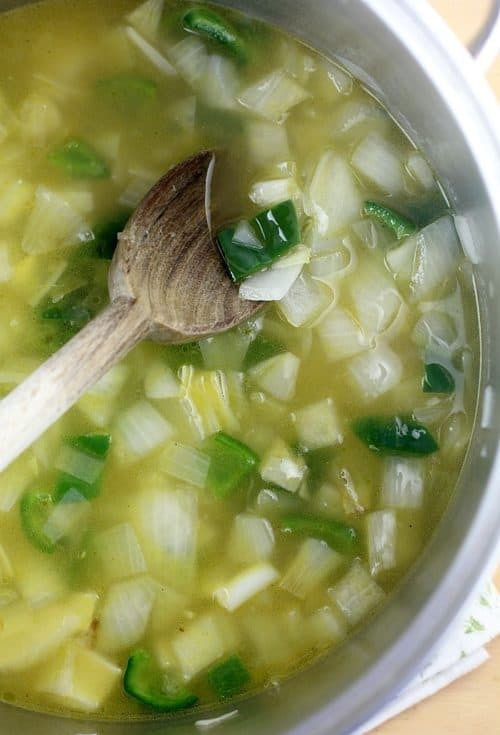 Let the soup simmer gently to desired consistency (15-20 minutes - you want a soup, not a porridge). Serve topped with cilantro, avocado, and a squeeze of lime. Yields: 8 servings. Leave me a comment! Otherwise, I’m just talking to myself here. And that’s no fun. What a great idea! I will definitely give this a try. I love black bean soup, but it can be a bit bland. 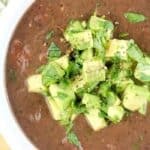 This black bean soup looks so creamy and delicious. I love that it’s made with fresh ingredients.